Need Cash? No Problem. 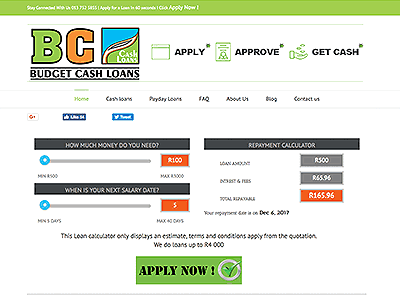 Apply with South Africa’s top online lenders, anytime, anywhere & get the cash you need instantly. With a booming economy, the life of many South African’s is changing and, with this change comes a need for financial solutions that can keep up. More so then ever before, people are now looking for bank credit, credit cards and other cash loan options to meet their everyday needs and responsibilities. In addition, a healthy real estate market has provoked an increase in the number of mortgages and bonds, with more and more South Africans looking to get in on the property market. All these factors have combined to create a financial services market that can be hard, even for the most financially savvy among us, to navigate. To meet the ever-changing, fast-paced and demanding needs of the modern man, a huge number of financial service providers and cash advances have become available – essentially complicating the financial services market and making it harder for regular customers to find the solutions that truly meet their personal needs. Your financial history is certainly a critical factor in determining your eligibility for a loan or other personal finance product. If you have a good credit history you will not only stand a greater chance of having a loan approved but you’ll receive significantly better loan conditions such as a lower interest rate and better repayment terms. Contrary to popular belief, those with a poor credit history or those who have been blacklisted still have credit options available to them and we’re here to give you that information. 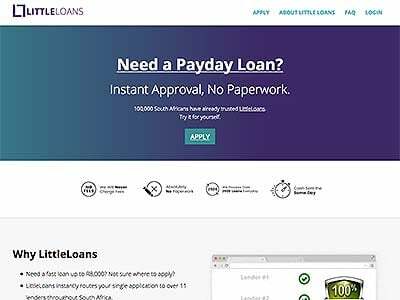 LoansFind can provide you with critical information about loans for blacklisted individuals, which will help you find the right product for you, and keep you away from loan sharks. Apart from your credit history, there are other factors that will determine your eligibility for a loan and these may differ from one provider to the next. This includes factors such as your monthly income and expenses (debt to income ration) and employment history, among many others. Being a part of a family will work in your favor, particularly if your partner also has a stable income because lenders will automatically assume you to be a lower risk client. In addition, individuals who own one or more, high-value assets, such as a home that can be used as collateral, will certainly have many loan options available to them, with favorable conditions. 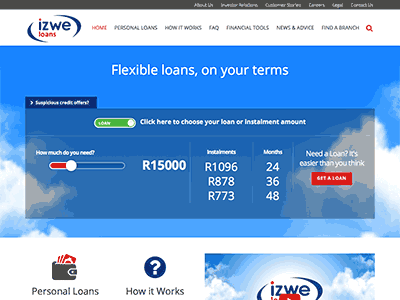 Even if you are not currently looking for a loan it is important to pay your financial obligations on time and ensure that you do not fall behind. If you are struggling with multiple monthly expenses and debts, there are various debt consolidation options, which will enable you to combine all your debts into one, larger and cheaper loan. Currently there are numerous loan comparison sites available to help you compare the various financial products and provider however, as conditions change quickly, these tools are not always completely up to date and it is possible to be given wrong information. In order to avoid being steered in the wrong direction, use LoansFind’s comprehensive services guide to help you navigate the complex landscape and find the right financial product, whether it’s a personal loan, a credit card or a home loan that you’re looking for. 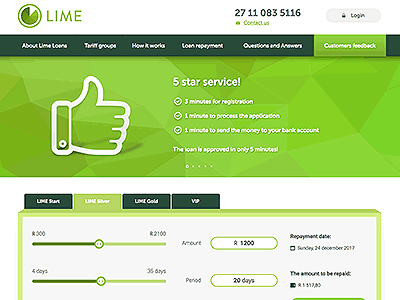 We’ve made applying for an online loan quick, easy and affordable by giving you instant access to South Africa’s top lenders. For short-term loans, vehicle finance, or personal loans, regardless of your credit rating, we have a solution for your financial needs. We offer custom financial products to meet your individual budget and lifestyle requirements. Achieve your financial goals quickly and easily with the help of experts who can assist you with budgeting and help you save money on fees and interest.